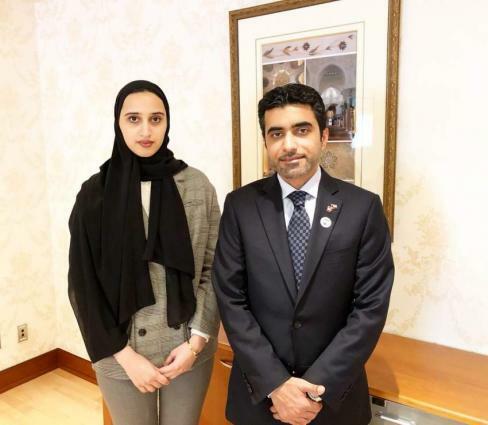 OTTAWA, (UrduPoint / Pakistan Point News / WAM - 17th Apr, 2019) Fahad Saeed Al Raqbani, UAE Ambassador to Canada, has met with Emirati students studying at Canadian universities in Montreal and Ottawa cities, to follow up on their educational achievements closely, discuss their specialties, and exchange views with them. Speaking during a luncheon in honour of the students, Al Raqbani expressed his pride in the student's efforts to reach their goals and urged them to make every effort to achieve scientific excellence in various disciplines to contribute to the advancement of the UAE's construction, progress and prosperity. He also stressed his readiness to support the students and provide ways that will help them to exert more effort and perseverance. Al Raqbani emphasisd that Emirati students abroad are the ambassadors of the country in transmitting its cultural image to other nations. He pointed out that the UAE will spare no effort in providing support and all possibilities that will help them to succeed. In turn, the students expressed their happiness at this meeting, appreciating the support provided by the country under its wise leadership to continue their scientific journey with success and excellence. The meeting was attended by Mohamed Al Shamsi, Acting Cultural Attache at the UAE Embassy.